Most people own multiple electronic devices, yet few know these devices can be recycled. This may be because electronic waste is difficult to recycle. You can’t simply toss your old cell phone in the blue bin. Electronics cannot be recycled as a unit. Rather, the various materials must be sorted and processed separately. 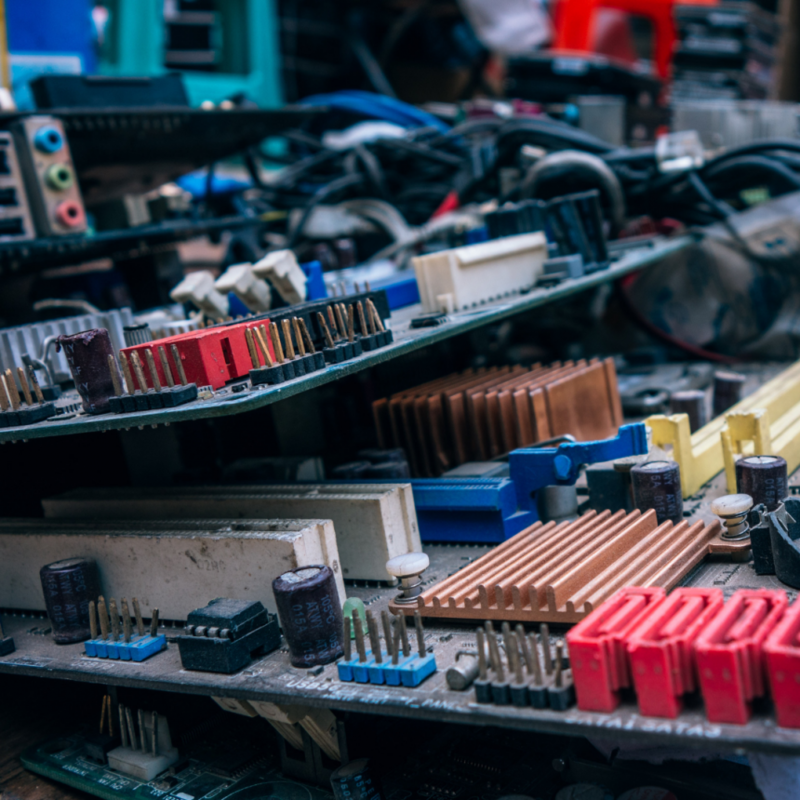 Circuit board recycling is even more difficult, because they contain a closely knit mix of materials. These materials may include toxins (mercury, lead, beryllium) and precious metals (gold, silver, copper). They also have plastic (the outer casing), as well as glass and fiberglass (the monitor). Fortunately, we can extract these metals from the green board and properly recycle them. According to the United States Environmental Protection Agency (EPA), a ton of circuit boards can contain 30-40 times more copper and 40-800 times more gold than one ton of mined ore. This means that circuit boards are a more valuable source of precious metals than mining from the ground. Older circuit boards, as well as high performance boards (military, telecom services), can have even higher precious metal content. Recycling prevents these valuble metals from being discarded in a landfill. Circuit boards contain precious metals like gold, copper, and silver. These metals are usually found in the transistors, traces, IC chips, and connector pins. Extracting metals from circuit boards take a lot less money, time, and effort than mining the materials from the ground. Properly recycling this e-waste allows it to become a significant source of secondary raw materials for creating another electronics. Circuit boards might contain dangerous elements like lead. Some circuit board manufacturers use a tin-lead soldering alloy to shield the copper from oxidation. Other dangerous elements include cadmium, mercury, and lithium that are commonly found in batteries and switches in circuit boards. Not only that, circuit board substrates contain polybrominated flame retardants that when exposed to heat, release halogenated dioxins and furans that are very toxic to humans. To prevent these toxins from polluting our environment, recycling your electronics is the way to go. Needless to say, it is important that you find metal recycling facility that can handle your e-waste. Our technicians at Alnor Industries can effectively strip the circuit boards of metallic components in our controlled laboratory using the latest technology. No time to visit our recycling facility? No problem! We can pick up your circuit boards for free depending on your location and its amount.